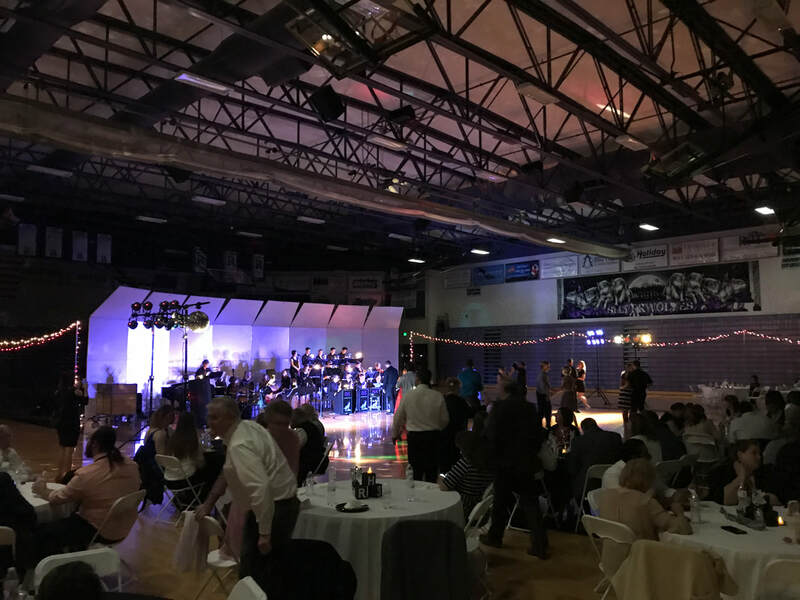 The Jazz Ensemble program at Riverton High School has consistently earned high honors at the Region Jazz Ensemble Festival as well as most recently earning an overall Superior Rating at the 2019 State Jazz Festival. Students in Jazz Ensemble are expected to be dedicated, disciplined, and driven to play music that will wow and entertain you! Varsity Jazz Ensemble is an audition only course in advanced concepts of Jazz and World Music. Members are responsible for learning concepts in the history of Jazz, soloing, style elements, trends in music, and advanced music theory. 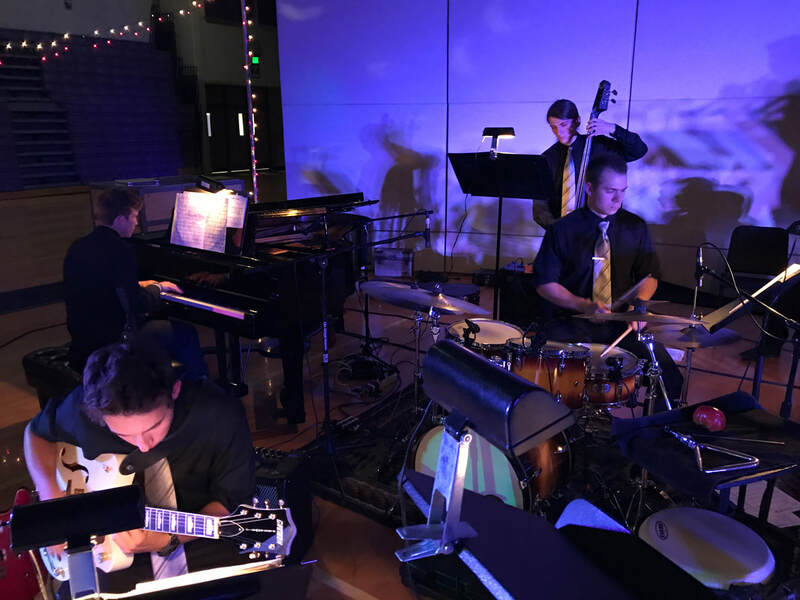 The Varsity Jazz Ensemble plays many performances throughout the course of the school year including assemblies, various concerts, competitions, festivals, and The Silverwolf Community Formal. Students must audition to gain entry into Varsity Jazz as well as re-audition at the semester in order to retain their spot in this ensemble. Students are not required, but are highly encouraged to be dual enrolled in the Varsity Jazz Ensemble and Wind Symphony.